So. there you have it. The complete Dancing England 2019 line-up. And how delightful is it? 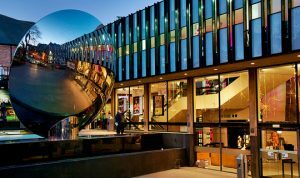 Thanks for your patience over the last couple of months, during which we’ve teased you with who’s appearing on stage at Dancing England on Saturday 26th January at the Nottingham Playhouse. 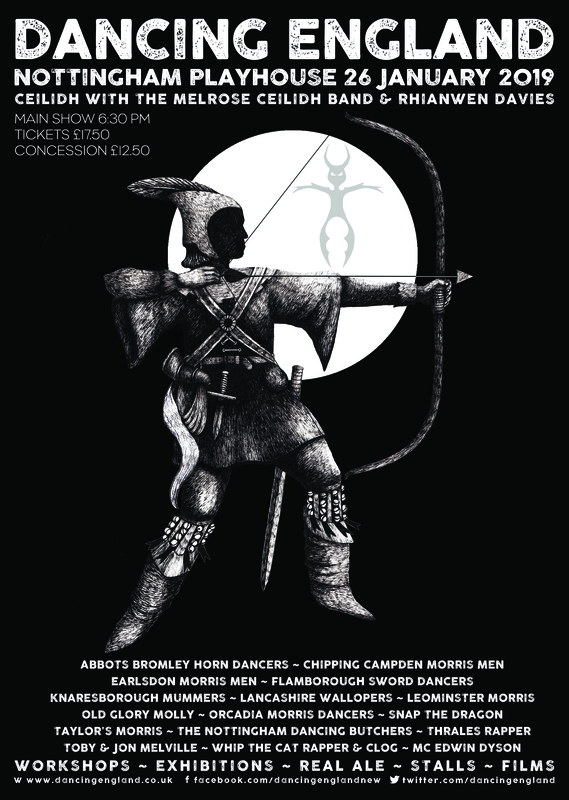 It’s looking like a cracking evening of Cotswold, Longsword, Clog, Rapper, Border, North West, Molly, and Carnival. Added in are some of our awesome folkloric traditions, and not forgetting the fabulous Melrose Ceilidh Band with Rhianwen Davies finishing off the evening in style with a storming ceilidh. Dancing England 2019 starts at 6:30pm sharp with a short interval and finishes at around 9:30pm. The evening will finish at around 11:15 or so. So the list is as follows, in rough order of appearance (as some of you wanted that). We are selling tickets very nicely, we have about 200 left. If you would like to come along and see the show, you’ll need to get your skates on. 3 Comments on "So. there you have it. The complete Dancing England 2019 line-up. And how delightful is it?" Hi Derek. I believe these have been completed. I proofread the programme and all good. Thanks.